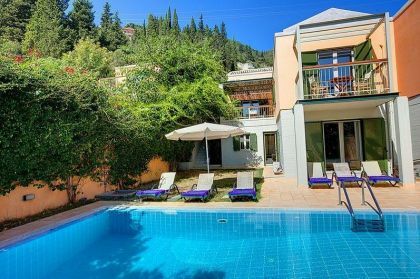 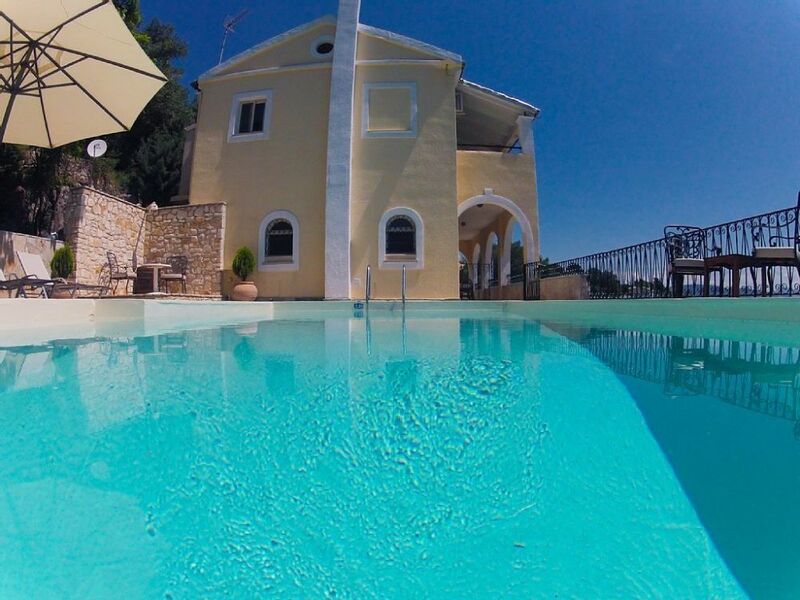 Villa with pool for rent just 2km away from Kalami beach. 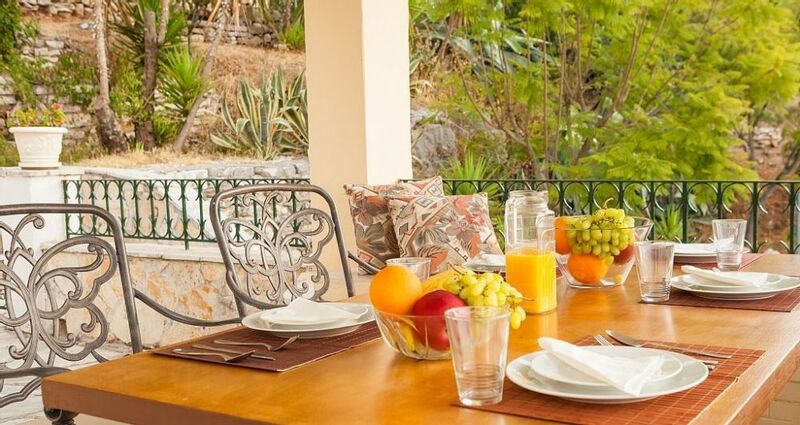 In the front terrace, a grand stone built BBQ setting is there to offer you amazing outdoor dining experiences with a view! 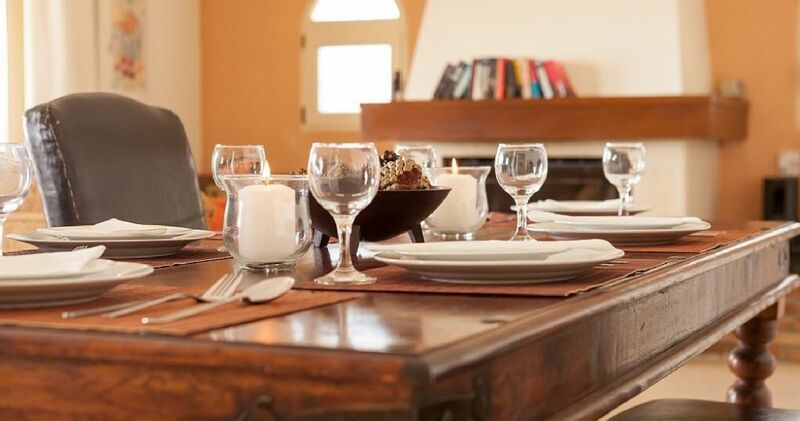 Step inside and you have an elegant villa with a bright and spacious living room, a fully functional kitchen well equipped with everything you could need to cook some delicious local food. 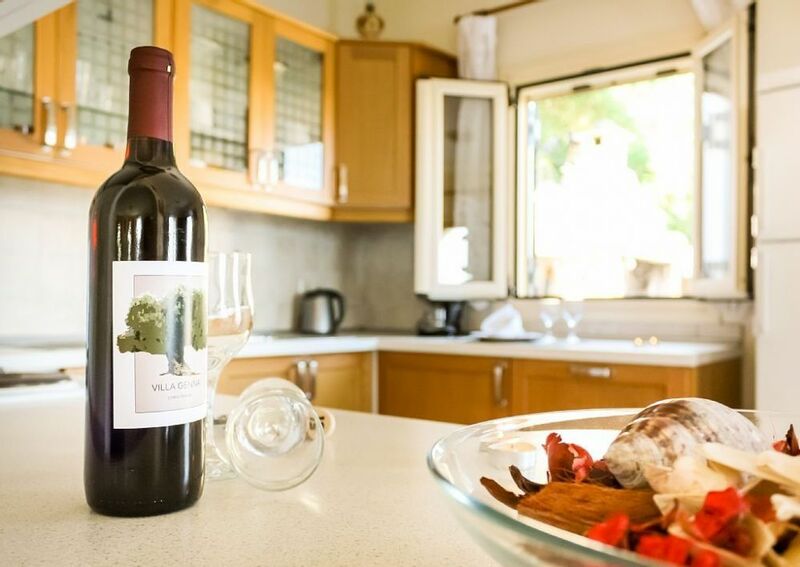 Comfortable and cosy the bedrooms are a delight all equipped with A/C units with patio doors leading to the lovely veranda with graceful views. 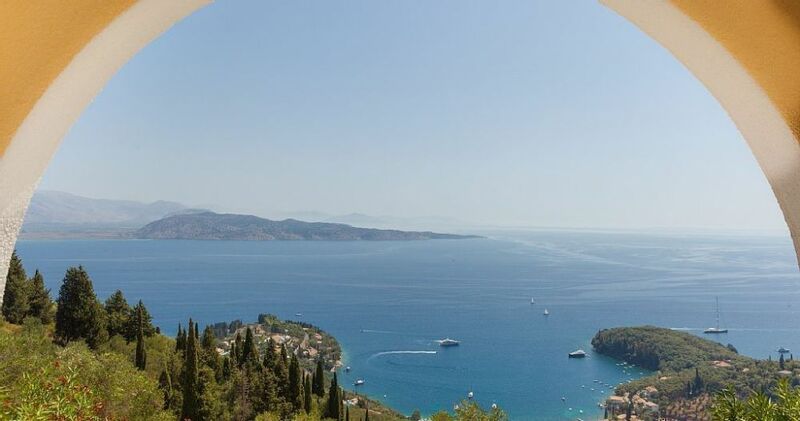 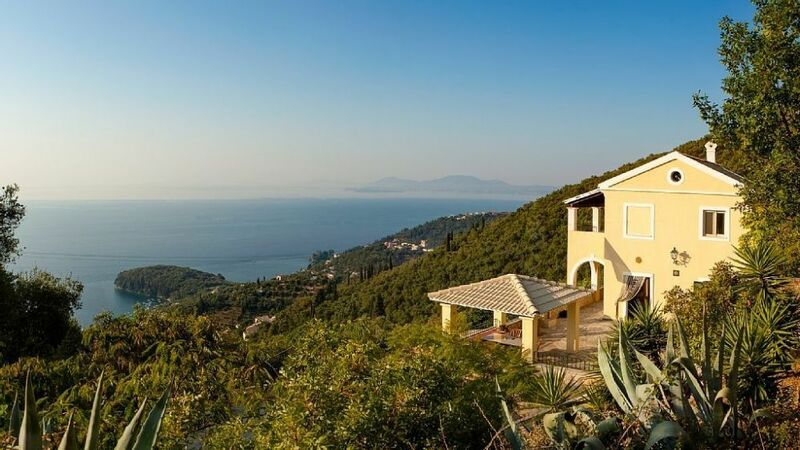 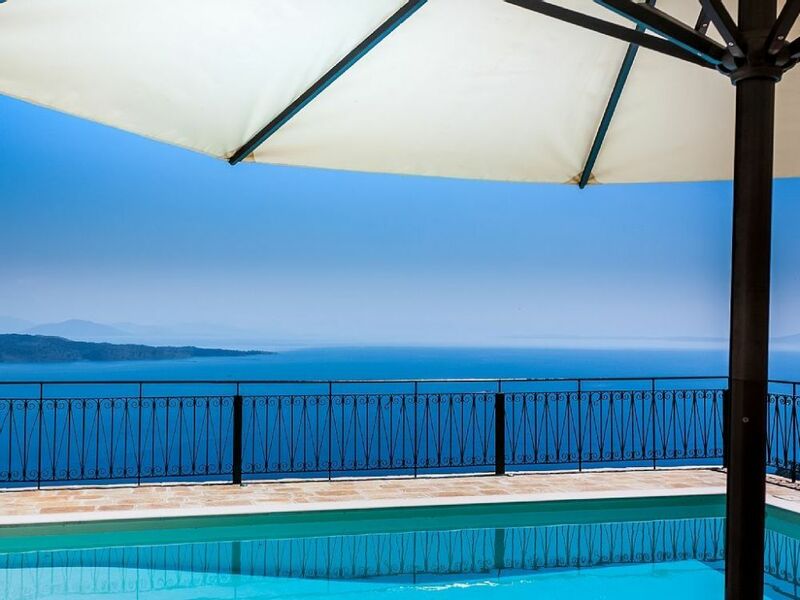 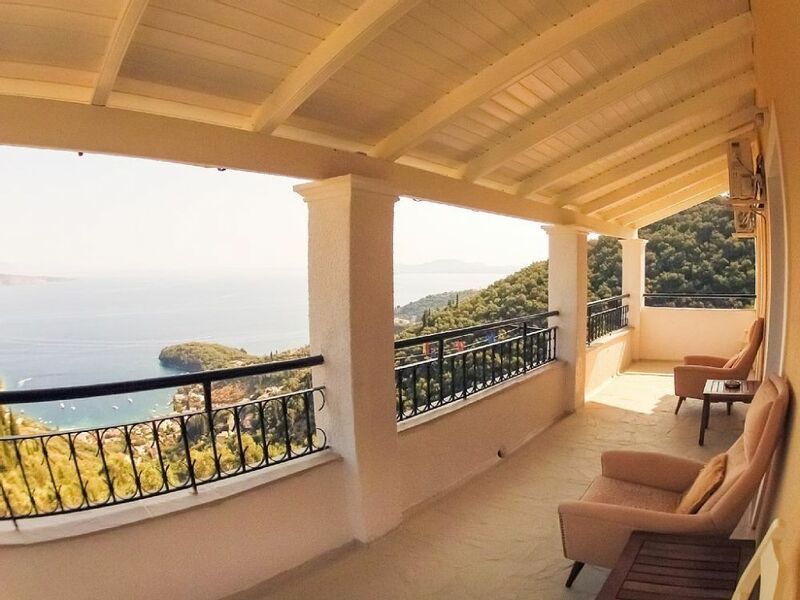 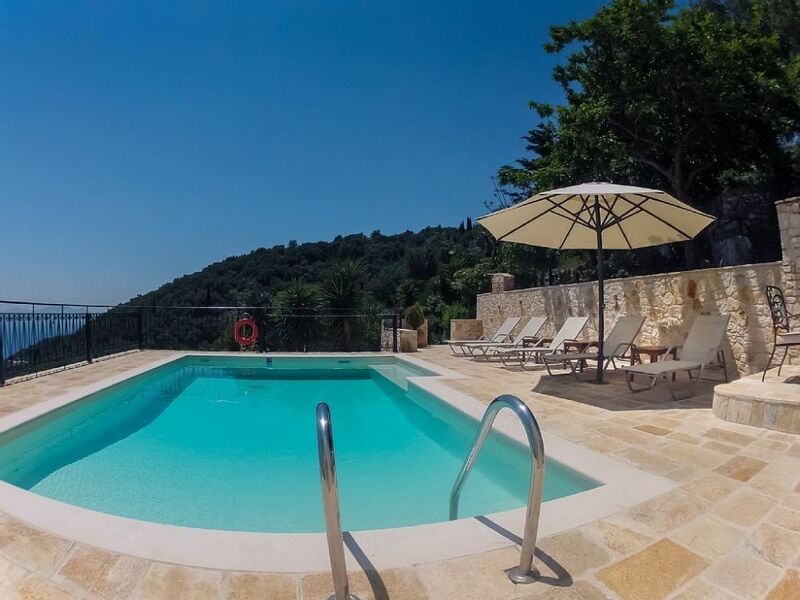 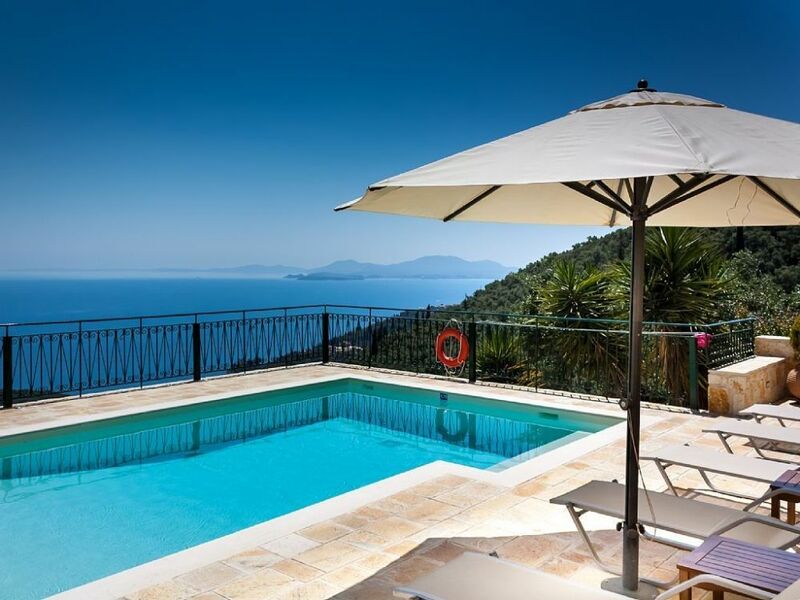 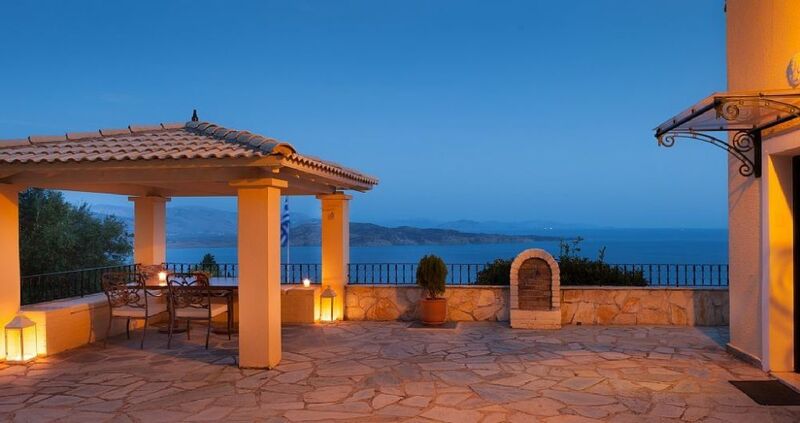 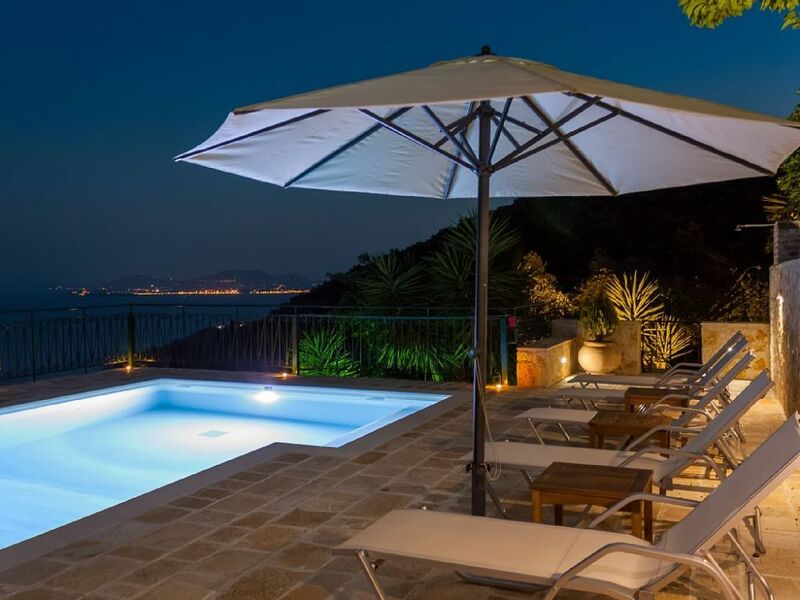 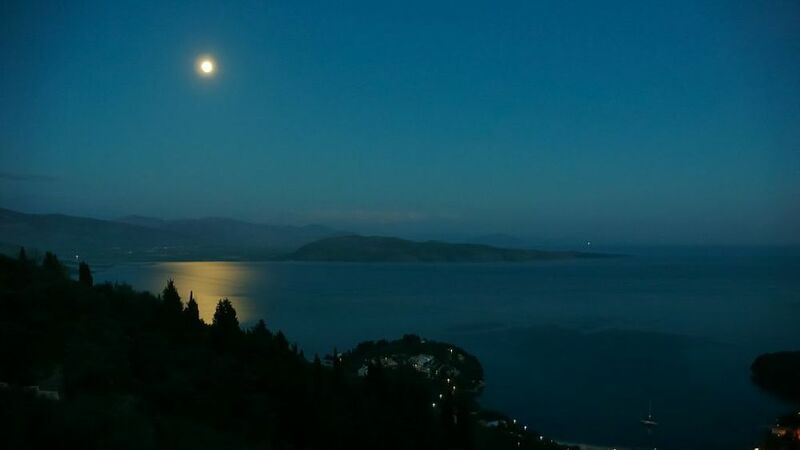 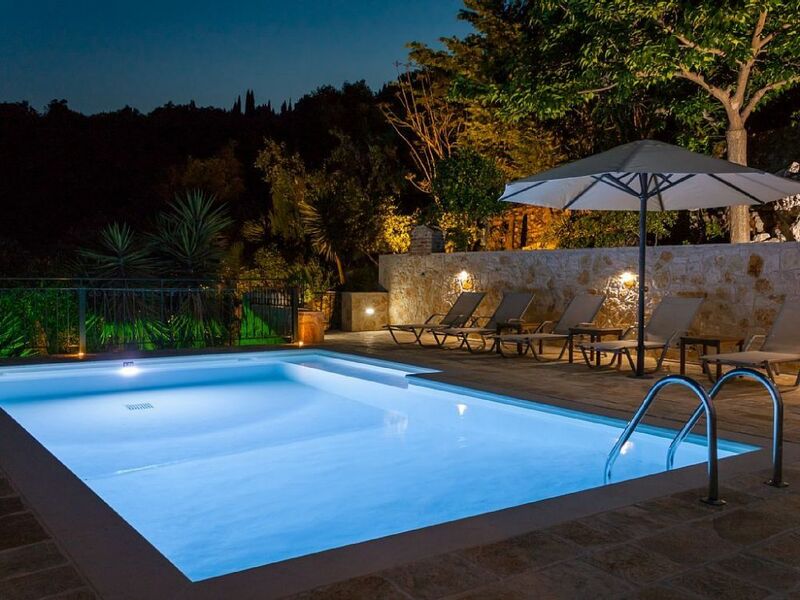 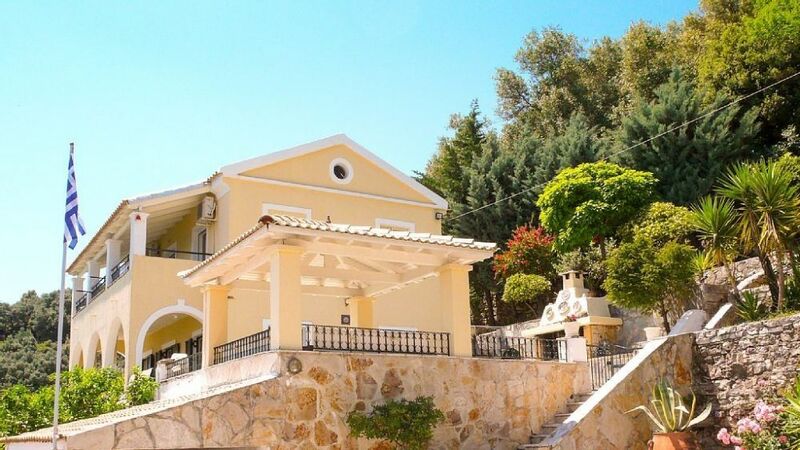 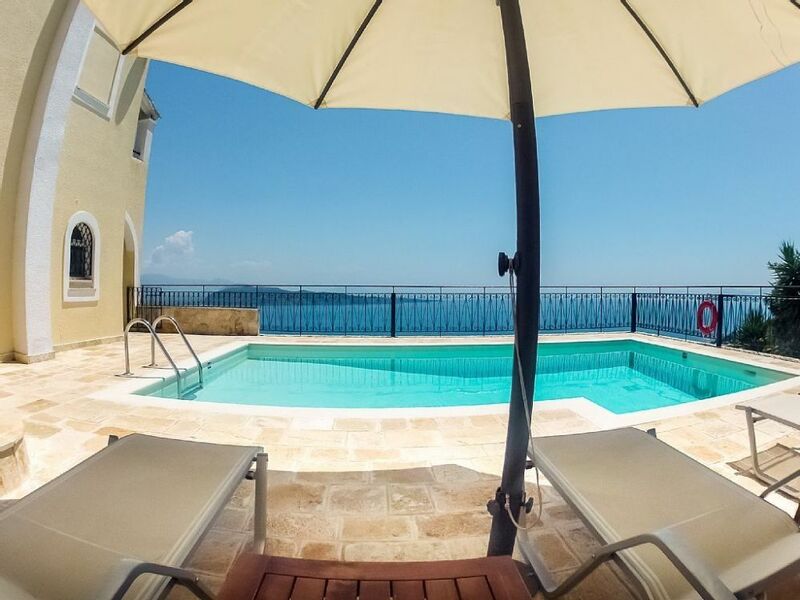 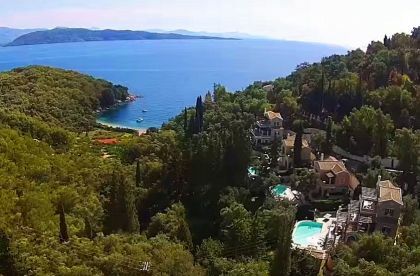 consists of three bedrooms in total, offering stunning view of Kalami Beach and the Ionian Sea. 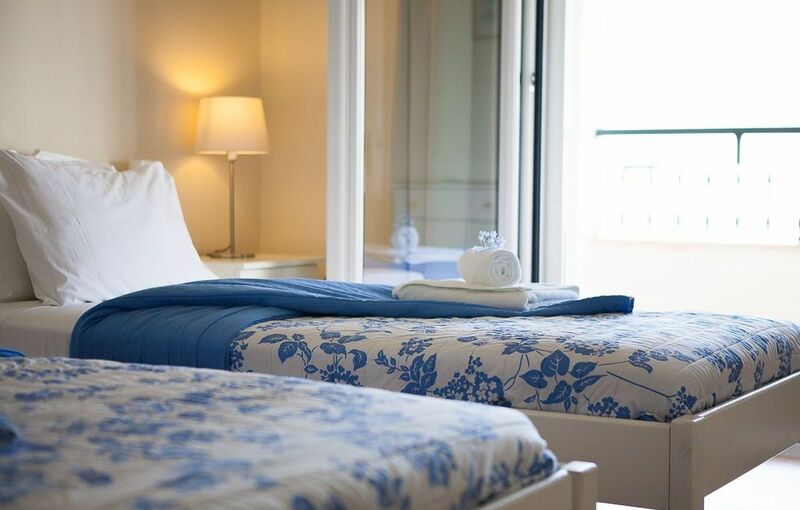 The two master bedrooms located on the first floor give a feeling of French country style decoration with white and cream painted wooden furnishing. 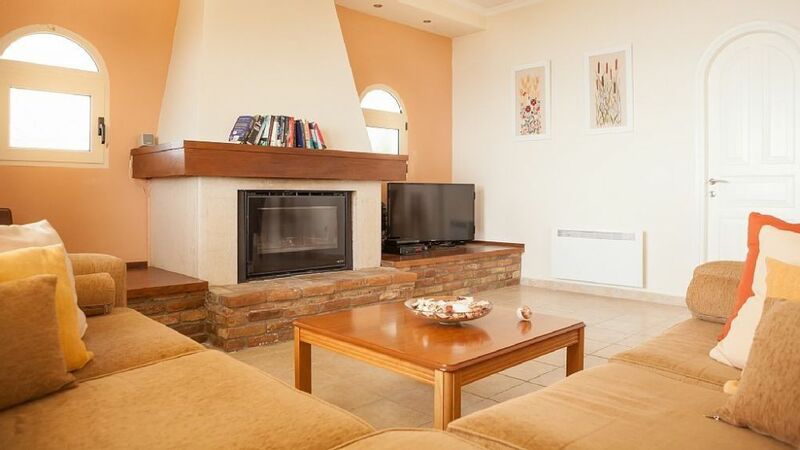 Those two light and spacious rooms are equipped with en suite bathrooms and comfortable kind size beds. 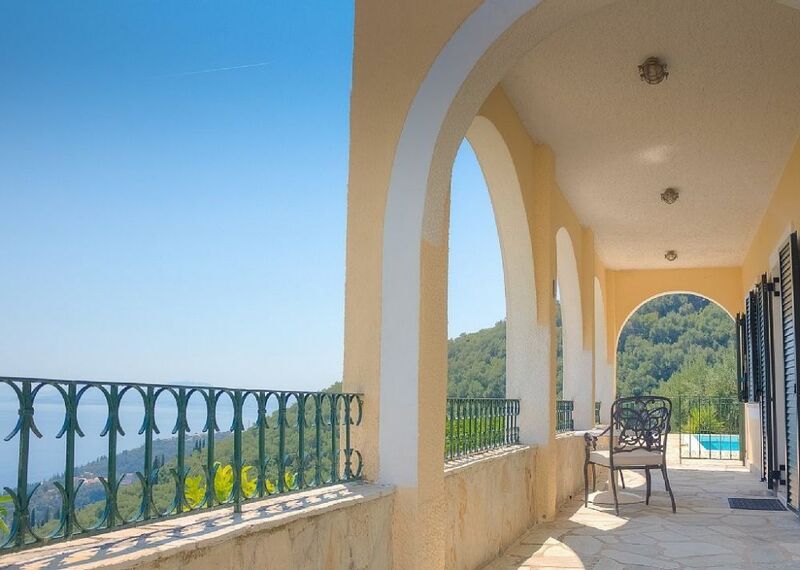 The patio doors lead to the upper veranda where you can enjoy your morning coffee watching the sun rising over the mountain tops of Epirus. 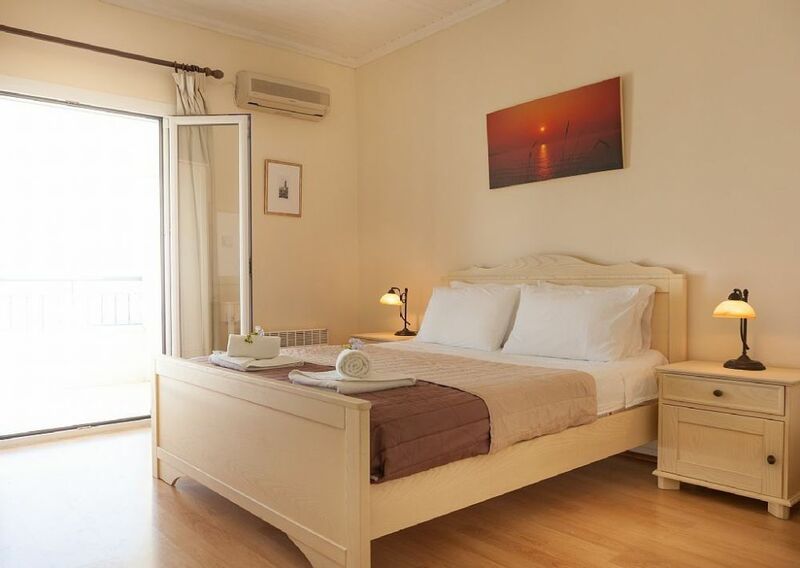 The middle room located between the two master bedrooms offers two single beds. 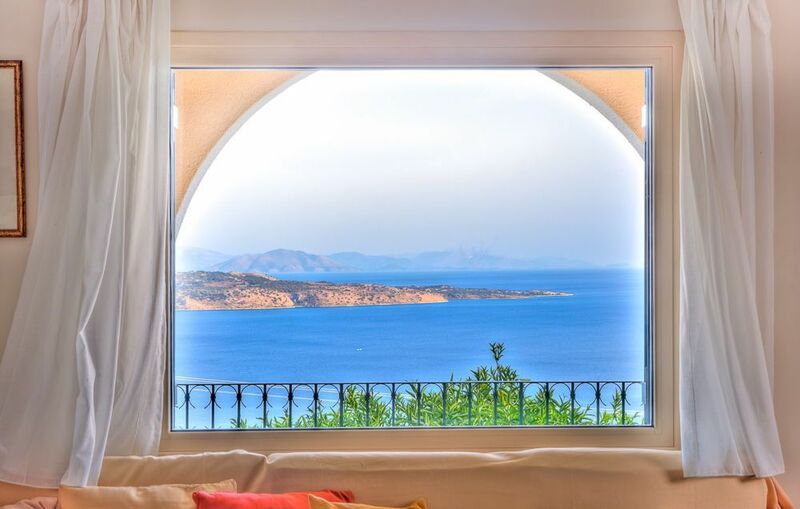 All rooms are equipped with individual A/C units for those warm summer nights.